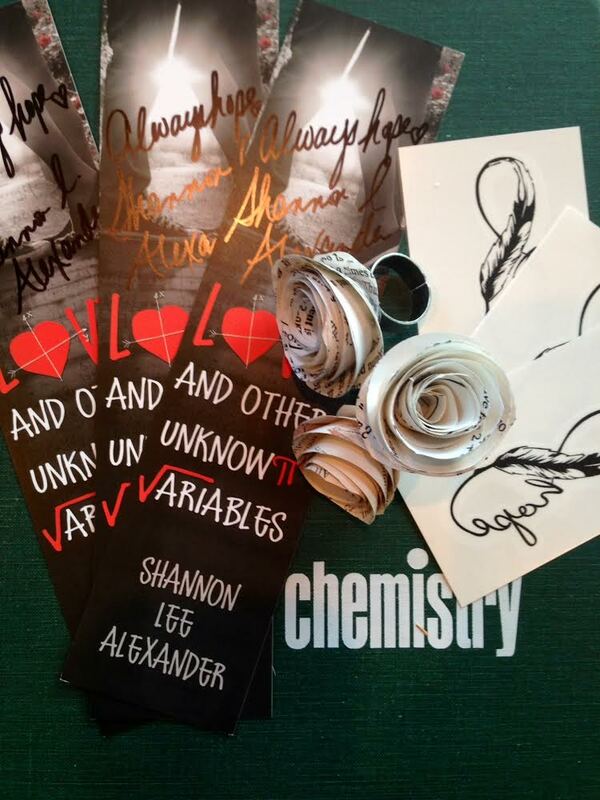 Blog Tour: Love and Other Unknown Variables by Shannon Lee Alexander+GIVEAWAY!!! Charlie Hanson has a clear vision of his future. A senior at Brighton School of Mathematics and Science, he knows he' ll graduate, go to MIT, and inevitably discover solutions to the universe' s greatest unanswered questions. He' s that smart. But Charlie' s future blurs the moment he reaches out to touch the tattoo on a beautiful girl' s neck. 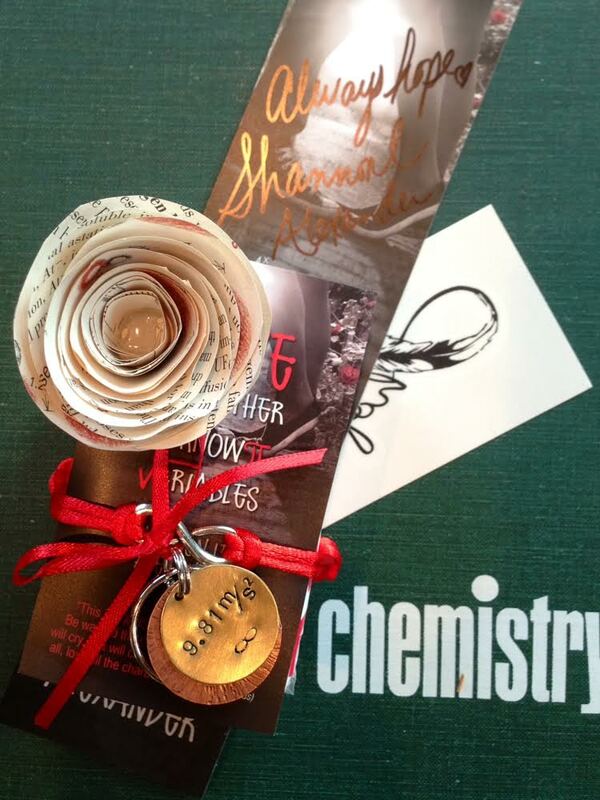 The future has never seemed very kind to Charlotte Finch, so she' s counting on the present. She' s not impressed by the strange boy at the donut shop—until she learns he' s a student at Brighton where her sister has just taken a job as the English teacher. With her encouragement, Charlie orchestrates the most effective prank campaign in Brighton history. But, in doing so, he puts his own future in jeopardy. By the time he learns she's ill—and that the pranks were a way to distract Ms. Finch from Charlotte' s illness—Charlotte' s gravitational pull is too great to overcome. Soon he must choose between the familiar formulas he' s always relied on or the girl he' s falling for (at far more than 32 feet per second squared). Hello, Friends! 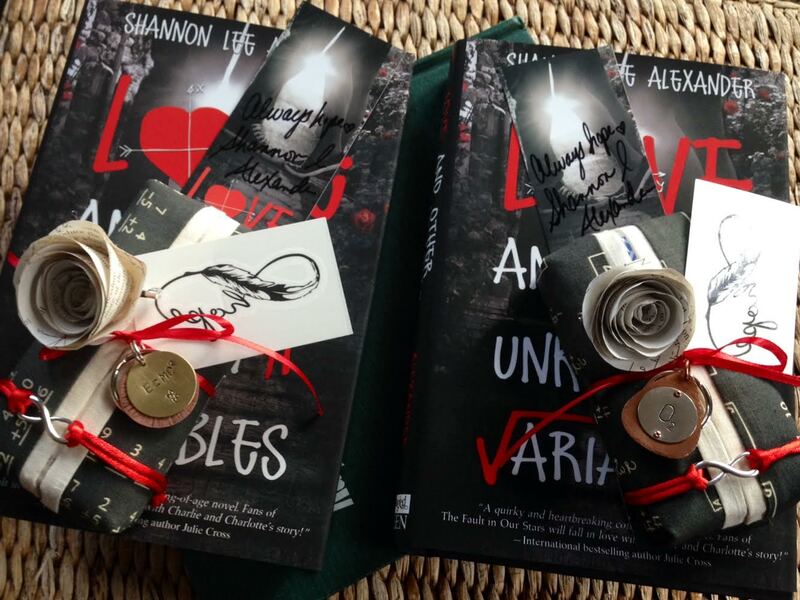 Today is my stop on the LaOUV Blog Tour and I want to thank YA Bound Book Tours for including me! A few hours of your life, plus the pages of this book, equals TIME WELL SPENT. Charlie Hanson has a clear vision of his future. A senior at Brighton School of Mathematics and Science, he knows he’ ll graduate, go to MIT, and inevitably discover solutions to the universe’ s greatest unanswered questions. He’ s that smart. But Charlie’ s future blurs the moment he reaches out to touch the tattoo on a beautiful girl’ s neck. The future has never seemed very kind to Charlotte Finch, so she’ s counting on the present. She’ s not impressed by the strange boy at the donut shop—until she learns he’ s a student at Brighton where her sister has just taken a job as the English teacher. With her encouragement, Charlie orchestrates the most effective prank campaign in Brighton history. But, in doing so, he puts his own future in jeopardy. By the time he learns she’s ill—and that the pranks were a way to distract Ms. Finch from Charlotte’ s illness—Charlotte’ s gravitational pull is too great to overcome. 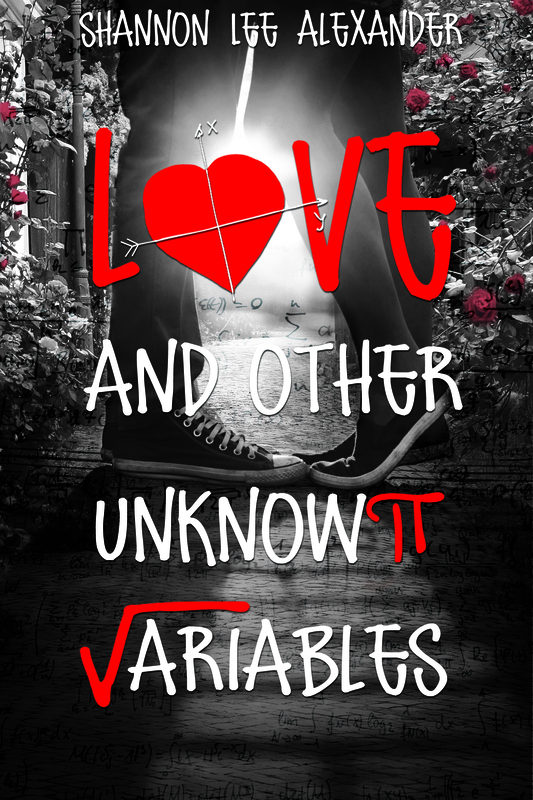 Soon he must choose between the familiar formulas he’ s always relied on or the girl he’ s falling for (at far more than 32 feet per second squared). DISCLAIMER: I have a tendency to either be severely sarcastic when reviewing books or sickeningly sentimental. I’m apologizing in advance for being the latter. I shed a few tears after reading THE FIRST PAGE of this book. First, because it was so beautifully written and second, because I knew what was coming. After chapter one, I was greedy. I curled up on my side of the bed and shut the rest of the world out to finish reading it. 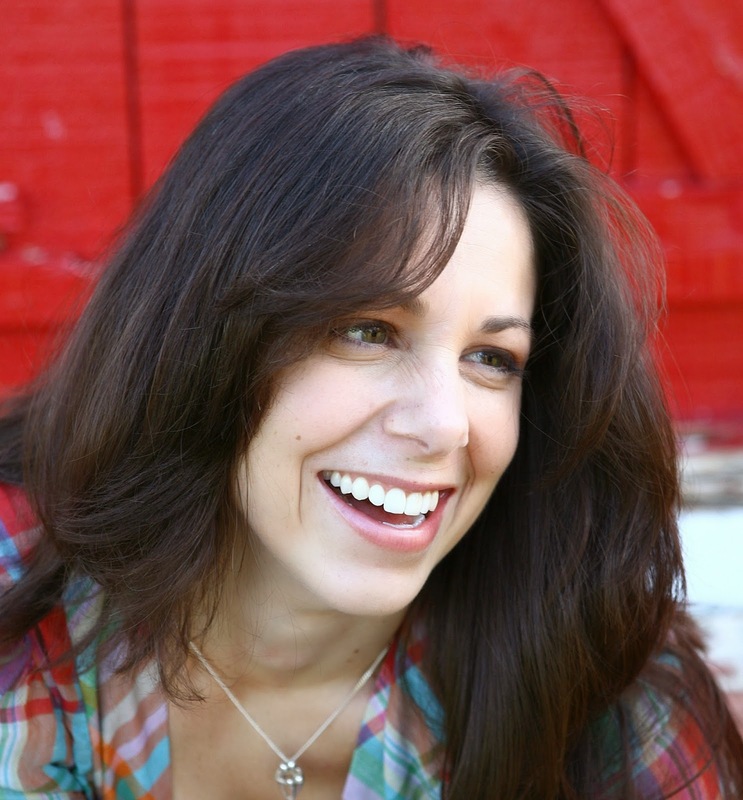 Shannon Alexander’s writing is poetic and smart like Tetris. Her story and characters found all the right places to fit in my heart. Charlie and Charlotte’s story soothed emotional wounds that I didn’t even realize I had let fester. I really loved your main characters, Charlie and Charlotte. Charlie captivated me with the kind of arrogant-insecurity that only a geek of his caliber could pull off and end up being Prince Charming because of it. The way Charlie processed the world around him delighted my synapses, and his timid free-fall into first-love with Charlotte reminded me of the first time I saw a shooting star with my husband. Charlotte reminded me of my cousin who passed away from cancer at the age of eleven, six years ago. She only had a short time here on Earth but those last few years that she lived, despite her body being ravaged by cancer and chemo, she lived them like a bright Sun that would never burn out. Charlotte’s intensity and stubborn will to fit a galactic year’s worth of life and adventure into the time she had left reminded me of that courage. You extracted the element that keeps hope alive from whatever magic it’s bred from and distilled it into Charlotte and Charlie’s relationship so perfectly. The tempo of your novel kept pace with my heart. Your intuitive writing stopped time in all the right places and made me reflect on the things I have to be thankful for including the moments I shared with loved one’s before they journeyed into that next celestial realm. Thank you for honoring the people who have had similar experiences by not glamorizing or glossing-over the impact that something so tragic can have on people’s lives. Thank you for turning what could have been a black-hole of debilitating loss and despair into a beautiful piece of art that is more cathartic than any therapy session ever could be. You approached this sensitive subject matter with beauty, grace, and boldness. If ever love and hope, sadness and loss, humor and heart could be synthesized in a book; into the ink and letters that make up the words and sentences on a page; you did it. I cried and laughed, sometimes all at once, and that takes some wordsmithing- magic. Thank you. ENTER BELOW TO WIN ONE OF THESE AWESOME PRIZES! Sounds like a great book! 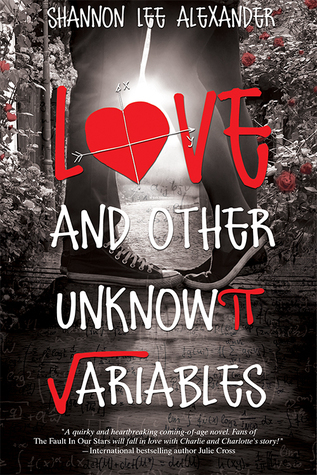 And I love the cover…so geeky…love it!